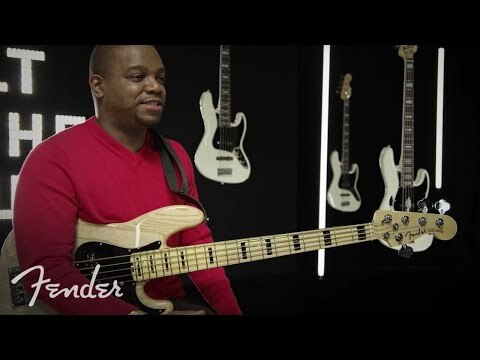 Fender American Elite Jazz Bass; an innovative bass guitar seen here in a classy natural finish, offers up fantastically versatile sound tha..
Fender American Elite Jazz Bass; an innovative bass guitar seen here in a classy natural finish, offers up fantastically versatile sound that is perfectly suited to any playing style. 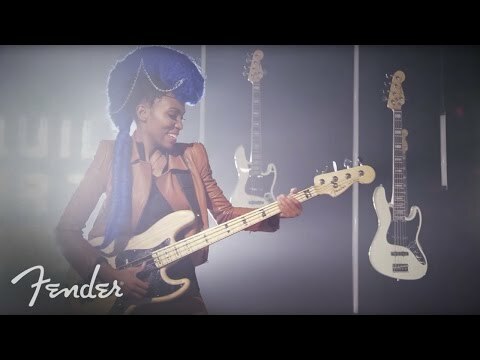 The icing on the cake; each Fender American Elite Jazz Bass comes in a newly designed American Elite moulded case which features body-hugging contours providing increased protection for your bass. Nested stacking ability allows for easy storage and more secure transport while TSA latches offer increased security.